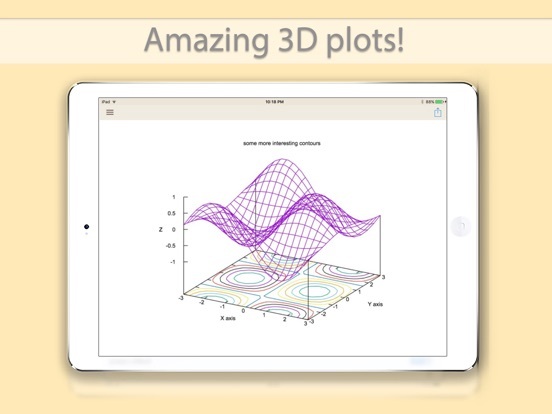 Powerful Scientific 3D Calculator with approx. 1400 functions. 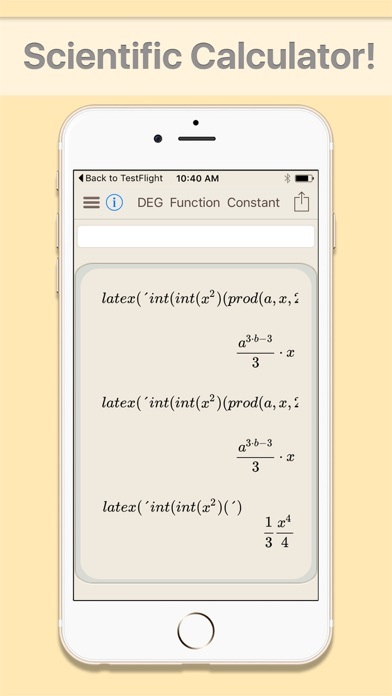 Cas Calc 3D is the perfect calculator for algebra, statistics, trigonometry, calculus, 3D plotting and more. 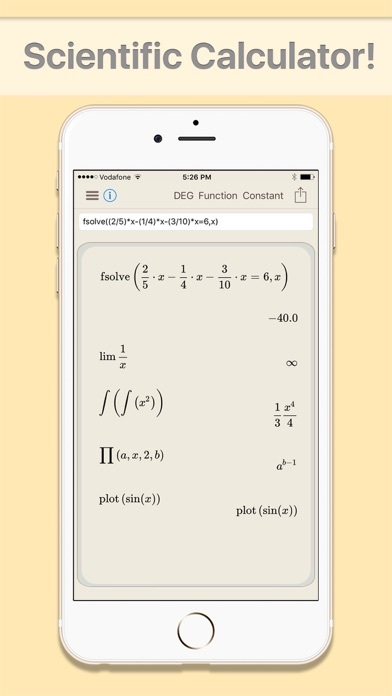 Don't look further, this calculator will fit mostly all needs for advanced computation and and 3D calculations. 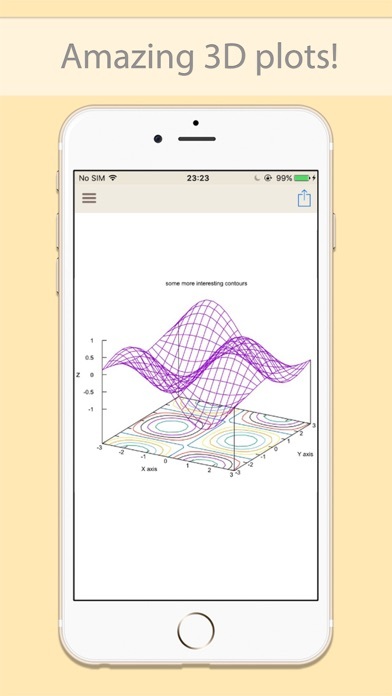 Share your results and plots with classmates and colleagues easily: you can email and print using AirPrint. 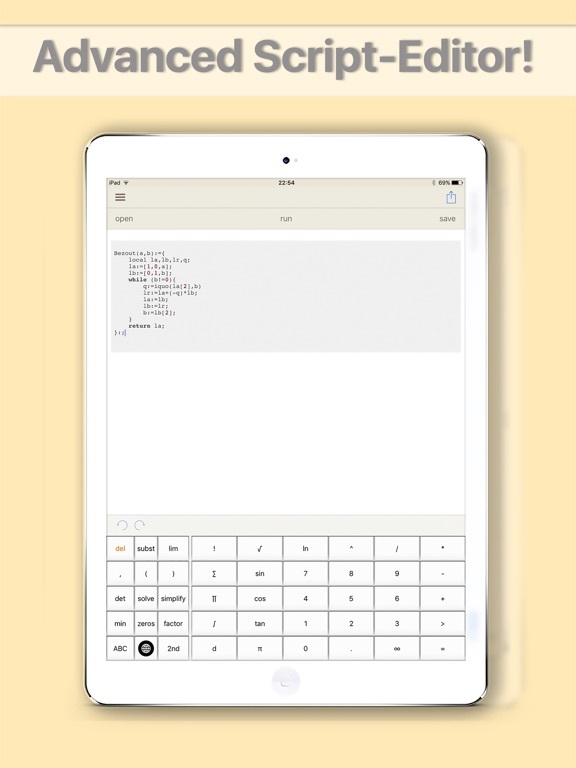 Cas Calc 3D is a fully developed scientific calculator for your iPad. 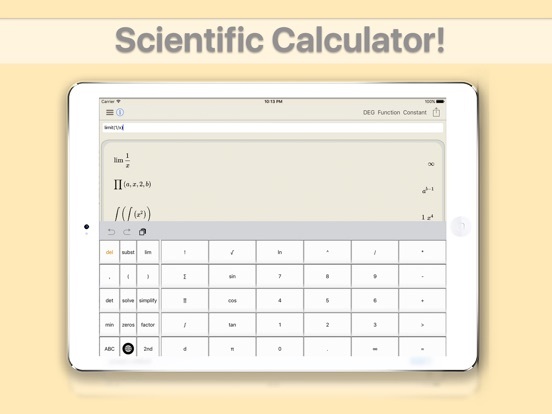 It's a powerful calculator to help with your math or science studies or work. You can customize your calculator to the style that suits you best: select from a MAPLE, TI-Style, or P11-Style input format. The app also makes data entry faster, easier, and more comfortable. Choose from the built in QWERTY keyboard or use an external keyboard via Bluetooth. Need help? Find answers to your questions in the included user manual and access the direct help. Try the powerful graphing calculator that helps you get your work done sooner - download Cas Calc 3D today.